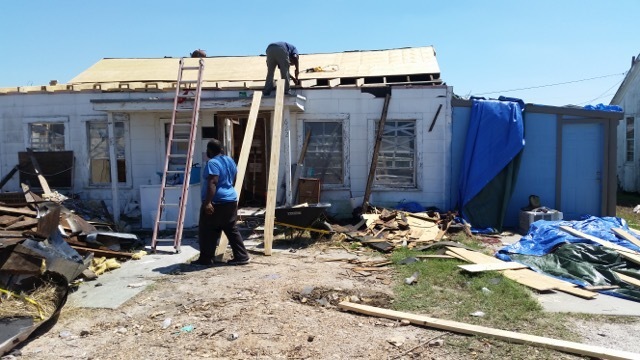 REFUGIO, Texas – Refugio High School freshman Damien Wills stood next to the smashed remnants of his family home in this small, south Texas town and solemnly told the Corpus Christi television reporter that coming home after Hurricane Harvey was a shock. “I saw pictures, but it was nothing like this,” Willis said. The roof of the residence rested on the ground beside the house; its interior gutted by wind and rain from the 130-mile per hour storm. Wills, a player for the RHS Bobcat football team, has no place else to go; and he and his family have commuted back and forth from San Antonio since the storm. The Hope Bobcat community is responding to the needs of the Refugio Bobcats through “Bobcats Helping Bobcats,” a project of the Hope Public Schools and Hope Academy of Public Service. “So many of our kiddos lost everything, so we need funds or gift cards to Lowes or Home Depot so we can help rebuild their homes,” Refugio Athletic Director/Head Coach Jason Herring. Although the Hope Public Schools is not collecting monetary donations, anyone wishing to make a donation should mail it to the office of Refugio Schools Superintendent Melissa Gonzales, 212 W. Vance St., Refugio, Texas, 78377. 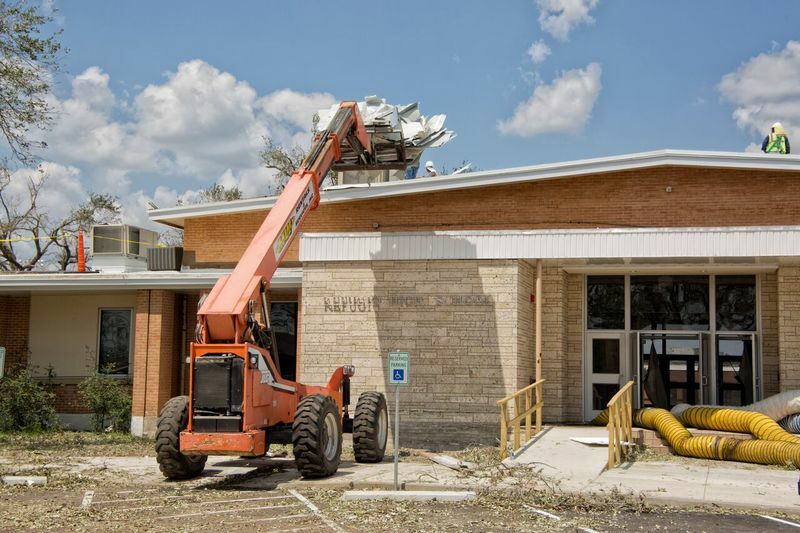 He said many daily needs are currently being met through donations which have been received; but, Refugio County Press staffer Kristin McGee said there has been an ongoing fight against mold that set in after heavy rains. She said the loss of needed back-to-school items was significant. “Students lost homes, newly purchased school supplies, family vehicles, memories and all the things we take for granted that make daily life easier,” McGee said. Photos and video of the damage throughout the Refugio community has been posted on the Hope Public Schools Facebook page. Students at HAPS in Hope are preparing collection bins which will be placed on each campus throughout the Hope school district, along with a list of needed supplies, based upon most recent reliable information. Classes on each campus will be asked to make donations based upon the posted list, and community donations will be accepted at each campus. Local donors are asked to drop off items at any campus by Sept. 30. Currently, personal anti-mold masks, building supplies of every sort, and children’s clothing are among the highest priorities.